I’ve been thinking about smoking, as a positively social activity rather than an anti-social activity. Smoking gives a select few the opportunity to have a break in their normal routine, get outside, and talk to people they wouldn’t normally talk to. 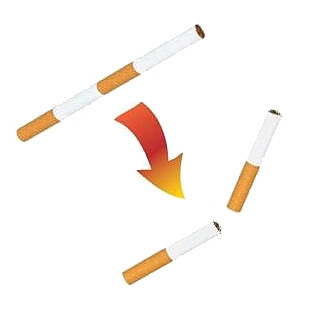 Can an error be designed into a cigarette that increases the social aspect of smoking? When the next person asks you for a fag, break out the sharette. It hopefully will spark conversation and give you a smile. regarding your sharette, there’s an interesting homonym: the charette.